DRE Sales supply Chains, Lifting Equipment and Accessories throughout Ireland, from our workshop in Bunclody Co. Wexford Ireland, on the borders of Wexford, Carlow and Wicklow. Products we sell include Lifting Slings, Wire Rope, Shackles, Hammer Locks, Chain Shortners, Pump Lifting Chains, Hooks and Hoists, from our base situated on the Wexford, Carlow, Wicklow borders. 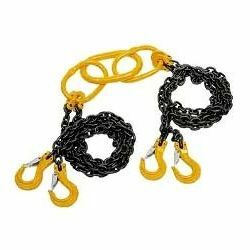 Chain sling configurations, ranging from capacities of 1.5 tonne upto 31.5 tonne. Grade 8 alloy chain ranging from 7mm - 32mm diameter. Grade 8 component connectors to suit chain sizes 7mm - 32mm. Grade 8 clevis safety hooks 7mm - 16mm. 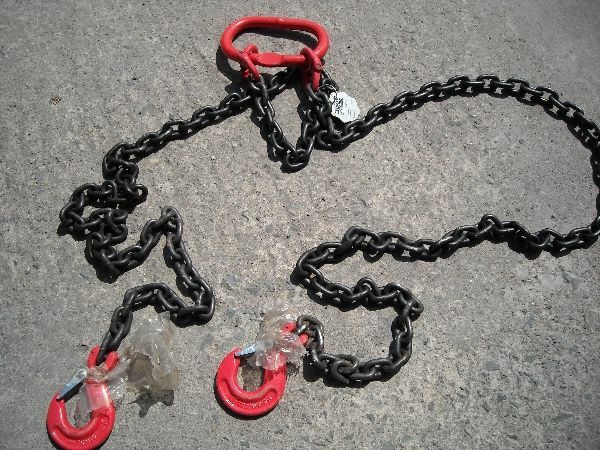 Grade 8 clevis sling hooks 7mm - 22mm , eye sling 26mm and 32mm. Grade 8 c-hooks 7mm - 16mm. Grade 8 Clevis Grab hooks 7mm - 22mm , eye type and shortening clutches also availabile on request. Grade 8 Swivel self locking hooks 7mm - 16mm , others available on request.